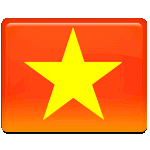 August 19 is August Revolution Commemoration Day in Vietnam. It celebrates the 1945 revolution that ended Japanese rule in Vietnam. The anniversary of the August Revolution is not a public holiday, but it is an important memorial day. Vietnam became a French colony in the mid-19th century. Since 1897, it comprised French Indochina, along with Laos and Cambodia. In the early 20th century, the first anti-colonial nationalist movements began to emerge in Vietnam. When the Second World War began, Indochina was invaded by Japan. The Empire of Japan had kept the Vichy France colonial administration in place as a puppet government until March 1945. However, in summer 1945 the defeat of Japan in the war was imminent, and the Vietnamese nationalists began preparations for a coup. Japan announced its surrender on August 15, 1945, and the Việt Minh launched the insurrection. The Vietnamese quickly seized control over the country. On August 19, the Việt Minh took control over the capital city of Hanoi. This day is now celebrated as the anniversary of the August Revolution. However, the revolution was officially over on September 2, when the independence of the Democratic Republic of Vietnam was established.